Jessica Robson was diagnosed with alveolar sarcoma cancer on the 1st of November 2010 aged 14 after finding a slight lump in her right thigh on a holiday in August the same year. She then started her first lot of chemo in that same month and has been on chemo after chemo every since. Through a drip and tablet forms. She then later had the operation to have the tumour removed from her leg where she then had to start using a wheelchair and crutches as quite a bit of muscle had to be removed. After the operation she had chemo and radiotherapy to make sure it was all gone. She then took some more scans and found she had shadows in her chest which was cancerous which meant going back on to chemo. Once she stopped using the wheelchair she was back to school using her crutches and powering through her GCSE's. To the classes she couldn’t make she had a tutor to come to the house and passed all of her GCSE's as she wasn’t going to let the disease get the better of her. During this time one of the chemo she was on at the time made her faint which meant her going back to her wheelchair. Then the next few chemo was making her feel sick which meant she lost her appetite and lost a lot of weight and she didn’t have the strength to walk so was completely refined to her wheelchair everywhere bar the home. With her appetite gone, the hospital put her on a feed through the day for 2 hours and an extra feed over night to make sure she got all the calories and vitamins she needed. 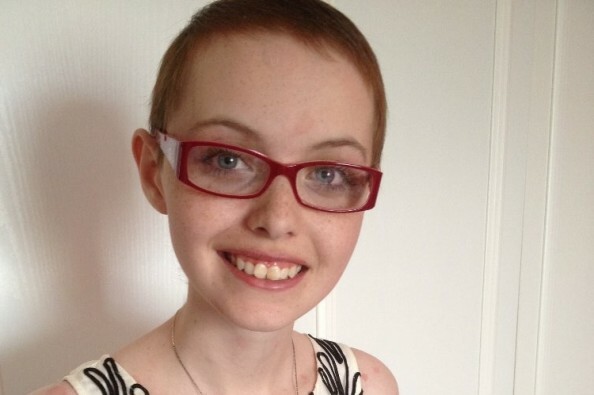 None of the chemo worked for Jessica's rare cancer. Slowly her chest got tighter which made her cough a lot and making her unable to speak for long. She beat all odds and had one amazing 18th where so was talking to everyone she knew at her close friends birthday on the Saturday and then family get together on Easter Sunday the 20th of April. From her birthday her coughing got worse, she wasn’t able to speak as well and was in pain. After this they brought in a bed for jess to sleep downstairs so she would be more comfortable and ordered an oxygen machine to help her with her breathing and pumps to help pump vital pain relief into her system. Jess was smiling right to the end, chatting and fighting not to let cancer get the better of her but never gave up hope. She then passed away peacefully in her sleep in the early morning of the 16th of May 2014. There has been many charities helping out jess to keep her spirits high such as a holiday to Disney Paris and giving her an iPad for Christmas. Jess always loved raising money and with all the fund raising she has done in the past 3 years, as a family we have raised over £28,000 for a number of charities. Jess loved when people brought presents in for Christmas and Easter eggs in for the patients. We (Jessica's sister and parents) are keeping Jessica's inspiration alive by keeping her fundraising going but now in her name. We have set up the charity 'JESSICA'S SARCOMA AWARENESS', in the memory of Jess, the money we will raise will go 25% to teenage cancer trust (a charity closest to Jessica's heart) 25% to Sarcoma UK (as jess always wanted to help beat cancer) and the other 50% will stay in the charity which I will then work out money to be able to make up presents for the other children in hospital fighting this awful disease. For example, Easter, Christmas and so on and financing days out for the patients and their families. Jessica was never selfish, always smiling and never gave up. She never deserved this awful disease but I want Jessica's spirits to live on even if her body doesn’t. We are one proud family and I want everyone to know what an inspiration she was. £865 raised online from Monday night! Amazing! We had a raffle in the Finance Department at Nissan and asked for charity nominations. Simon Taylor suggested Jessica's Sarcoma Awareness. Good luck with all your fund raising. Learning Links Europe Ltd would like to donate £35 that was raised through dressed down Fridays.